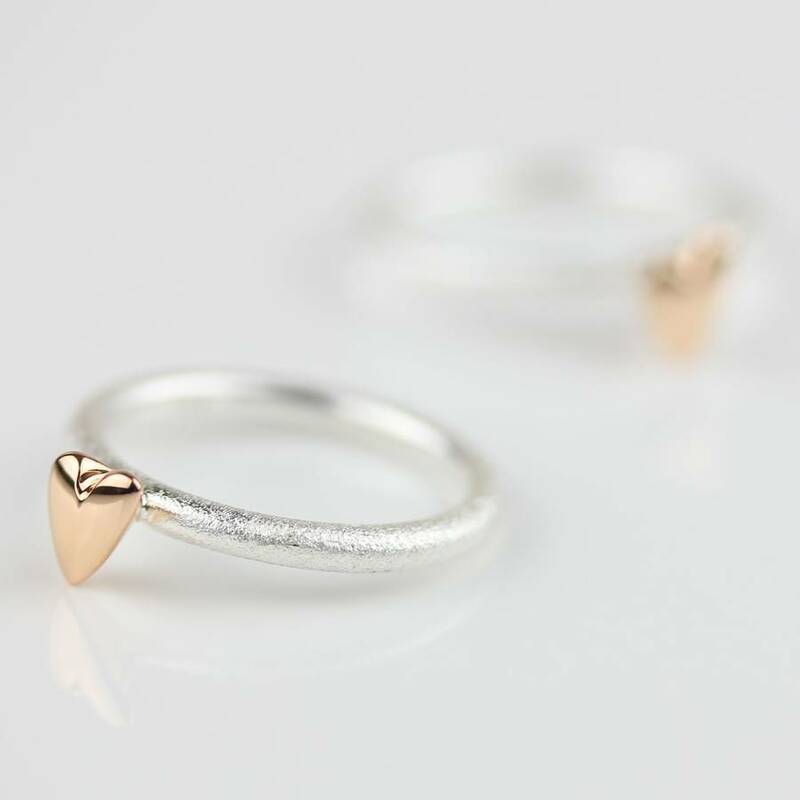 This, quite simply, is a stunning ring and is simply perfect for a special gift. 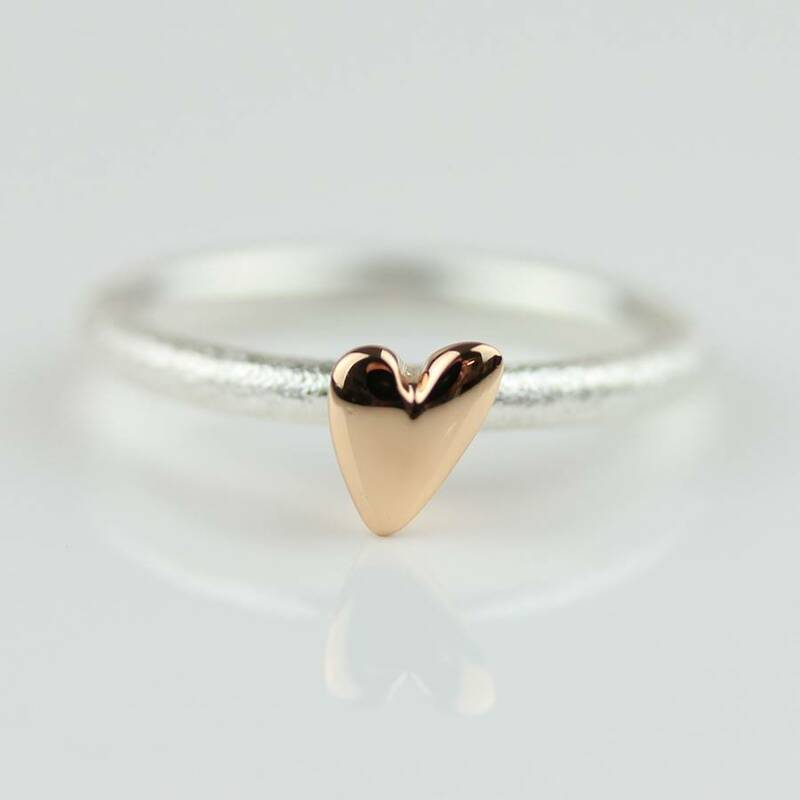 In brushed silver with a polished rose gold heart. 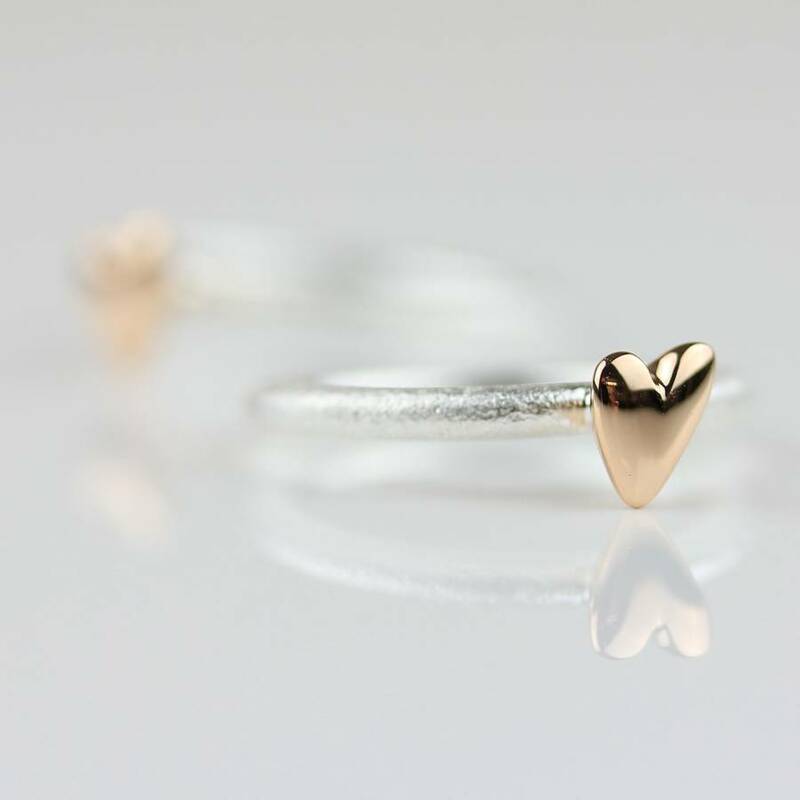 This beautiful ring is brushed sterling silver with a polished rose gold heart detailing. It is available in two sizes: Size N which is a small and size P which is a medium. 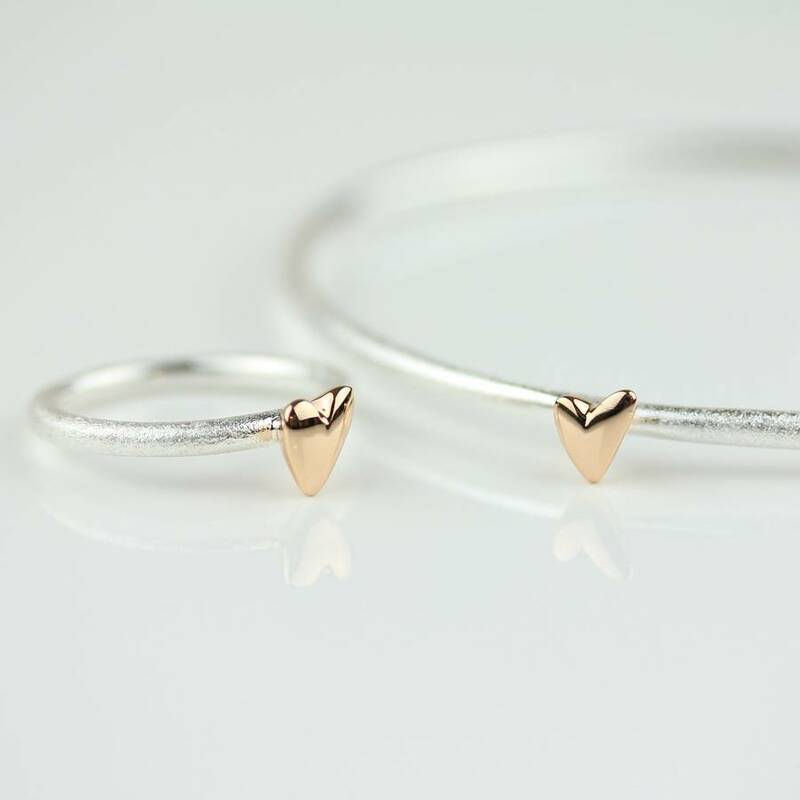 The heart is also available in silver. Please see our other product pages. Once you have ordered this lovely ring we will place it in one of our lovely Nest embossed gift boxes for you. 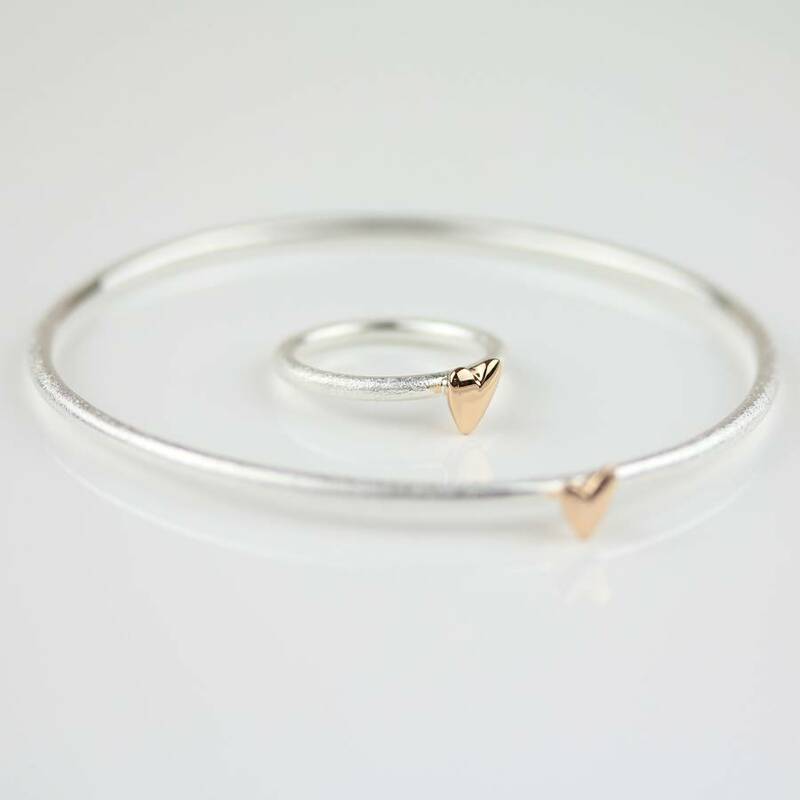 Solid sterling silver with 18ct rose gold plated. Please refer to a ring sizer or guide if you are unsure of which size you need. Size N is considered a small. Size P is considered a medium.